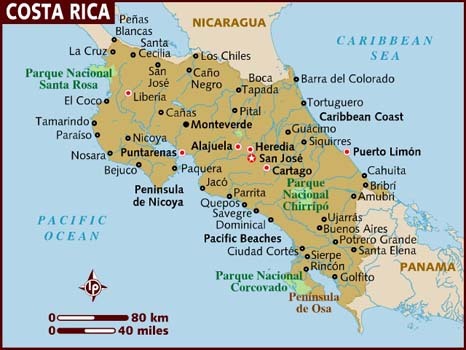 The name la costa rica, Spanish for “rich coast”, was in some accounts first applied by Christopher Columbus, who wailed to the eastern shores of Costa Rica during his final voyage in 1502 and reported vast quantities of gold jewelry worn by the natives. Coffee was first planted in Costa Rica in 1808, and by the 1820’s, it surpassed tobacco, sugar and cacao as a primary export. Coffee production remained Costa Rica’s principal source of wealth well into the 20th century, creating a wealthy class of growers, the so-called Coffee Barons. The revenue helped to modernize the country.